Incorporating art into community outreach poses challenges, but the experiences arts-based service organizations provide also offer unique fulfillment. As the roles of service and art in society remain under debate, initiatives at Harvard that meld the two areas continue to evolve, broadening arts access in surrounding communities and shaping campus artistic life. 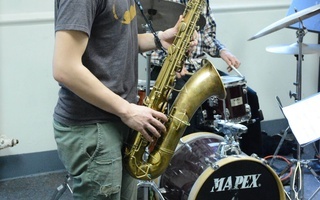 Matvey Soykin rolls his alto saxophone, tied to a small metal dolly, around Paine Hall, home to the Harvard Music Department. A tall, lanky nine-year-old, Soykin may well weigh less than his instrument, and the sight of him pulling the case along, as if walking a large dog, is especially endearing as he walks down the hallway of austere practice rooms usually occupied by virtuosic Harvard musicians. HARMONY is one of around 10 student groups at Harvard that fall under the umbrella of arts service organizations. These groups vary in size, media, intended audience, and mission, from Harvard Artistz’s (HARTZ) 10 undergraduates bringing visual arts activities to the Cambridge Rehabilitation Nursing Center to CityStep’s 30 to 40 undergraduates and around 100 Cambridge public school students clapping, jumping, and stomping their way through original choreography. 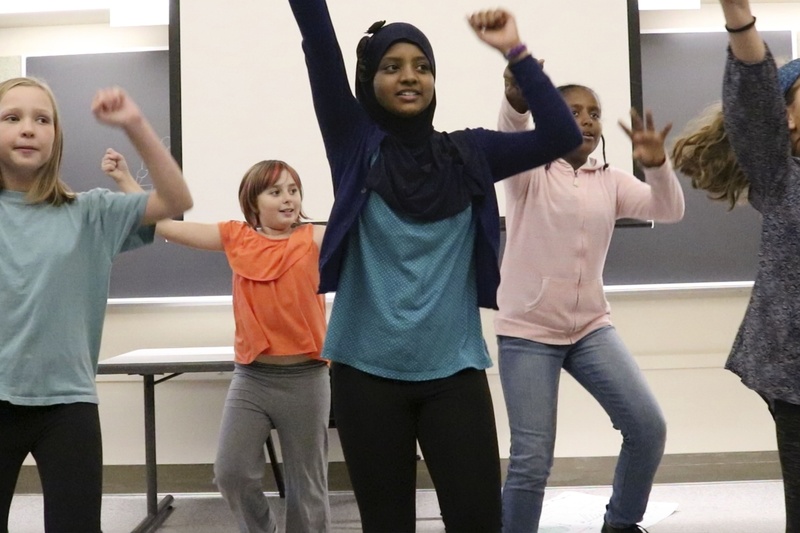 Incorporating art into community outreach poses its unique challenges—most notably, ensuring that art-making’s technical aspect does not become a barrier between student artists and the people with whom they want to connect. The relationships and experiences these organizations make, however, also offer unique fulfillment. As the roles of service and art in society remain under debate, Harvard’s art service initiatives continue to evolve and expand, broadening arts access in surrounding communities and, in turn, shaping campus artistic life. Student who participate in community outreach through art come from all concentrations and artistic backgrounds. Many became involved as a way to exercise their skills in a more casual setting and as a component of their general interests in public service. Emma F. Stone ’19 didn’t have space in her freshman fall semester schedule for visual art classes, so she joined Harvard College Stories for Orphans to continue making art. She took a gap year before matriculating, in which she spent interning with an artist who illustrated story books. “I just want to constantly be doing or [be] engaged with the arts despite whether my academics or concentration involves [arts specifically]—just to constantly have that as an outlet,” she says. Stone had also done service work before, though none that actively incorporated the arts. Now, as artistic director for Stories for Orphans, she is using her talent to illustrate and edit personalized picture books for orphans around the world. Rose M. Whitcomb ’16 has wanted to become a music educator since her senior year of high school, as her formative years of band and orchestra drew to a close. She spent two summers at Harvard directing Summer HARMONY, leading fellow undergraduates as they taught basic musical theory to students across PBHA’s Summer Urban Program. “Music has been a part of my life ever since I was small,” she says. “It’s a space where people come together…. And just watching how excited people were about what I was doing, let alone my own excitement, I knew this was something I wanted to continue.” Upon graduating with an A.B. in music, Whitcomb decided to stay in Cambridge, where she now works as a substitute teacher at Prospect Hill Academy, helping to restart the school’s drumline program. Whitcomb’s desire to grant others access to art-making experiences as profound as her own is a motivation other volunteers and mentors widely share. Armenta has played saxophone for about 10 years, during which music has not only helped him develop discipline and rigor applicable to every aspect of his life but also served as a method of introspection. “There are a lot of moments when you stop and think, ‘Why am I doing this? Why am I spending hundreds of hours learning this?’... and you're forced to figure out why you're doing it. I think a lot of times the answer you come up with is useful for the rest of your life.” Private lessons were essential to Armenta’s growth as a musician, but he realizes their prohibitive costs. “If I could offer whatever I can to people for free—at least help a young student grow and sort of expand their base of musical knowledge—I think that's a really cool thing to be able to do,” he says. For many students volunteering with arts service groups, however, artistic proficiency has required years’ worth of practice. 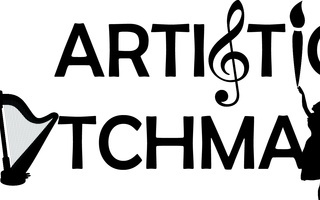 Art’s technical demand raises the question of exactly how to reach out using such specialized activities, especially in the case of underserved or dispossessed communities. Groups that work with the elderly, for example, must navigate interactions with those in drastically different living circumstances, some of who suffer conditions that render even basic physical and verbal communication difficult. Volunteers teaching children who are very young or who do not have the bounty artistic resources many Harvard students have had must find innovative ways to motivate students and provide them with impactful experiences within their means. And looming behind it all is the peril of the unsavory power dynamic, which haunts every service-based interaction but may be especially exacerbated by art-making’s technicality. Andrew G. Clark, Harvard director of choral activities and a senior lecturer on music, has brought these questions into a formal classroom setting: Last spring, he taught the first iteration of Music 176r, “Music and Disability.” The course’s syllabus spans the literature of music education and therapy, disabilities studies in music and arts activism, and cognitive neuroscience, among other topics; it also incorporates an engaged scholarship component that sends students to shadow various organizations in the greater Boston community providing inclusive art-making opportunities for people with disabilities. Clark works closely with Music in Hospitals and Nursing Homes Using Entertainment as Therapy—which, since its founding in 1996, has followed a more traditional music outreach mold. Students arrive at the nursing homes, introduce themselves, perform, speak to the residents for a little, and then leave. After taking Music 176r and working with Clark through Collegium, respectively, MIHNUET vice president Alan Z. Yang ’18 and co-president Ryan B. Song ’17 have begun to reconsider the program’s structure. “We’ve had wonderful relationships for the past two decades,” Yang says, “but then Dr. Clark's class got me thinking: How can we better engage the seniors? It's better to think about how we can perform with… instead of at or for.” Song and Yang’s brainstorming generated Crooners, which they now co-direct. 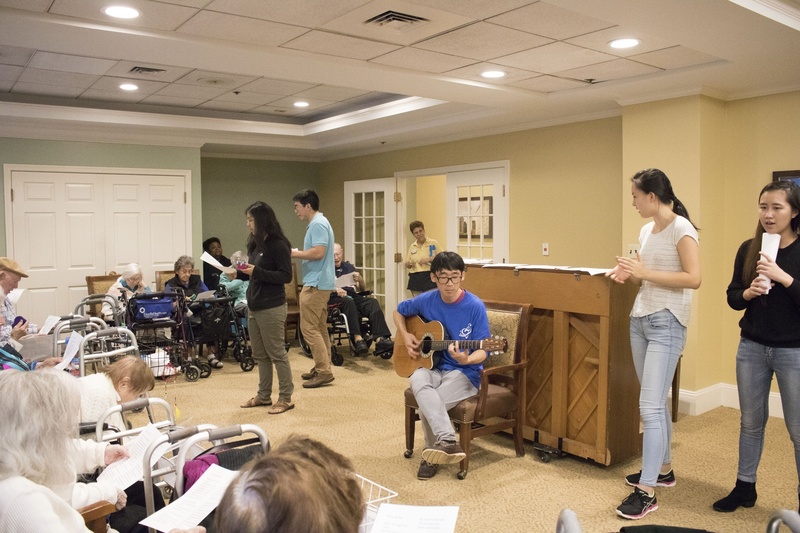 Crooners is an initiative within MIHNUET in which the senior residents and undergraduates sing together in a circle, sometimes pausing to reflect on what songs mean to them or to listen to student performances and give the seniors’ voices a break. Residents who are nonverbal, unable to read the song lyrics, or unwilling to sing can follow the beat using small percussion instruments provided by MIHNUET. So far, Song and Yang say, Crooners seems to be going well. But dynamic and impact remain contentious points with which individuals running the programs must constantly grapple. American culture generally regards art as a luxury, a private activity for and accessible to only those with disposable time and income—or at least this belief seems to be the case, if government spending is any indicator. In the past two decades, the government has slashed public funding for in-school arts programs and the National Endowment for the Arts (NEA). The NEA’s budget decreased an astounding 50 percent in 1980, followed by a prolonged decline of over 77 percent to the present day. According to the Atlantic, the overall amount of public art grant money, adjusted for inflation, has decreased by 26 percent since 1995. Members of Crooners (a division of MIHNUET) visit the Chestnut Hill nursing home for a group singing activity on October 9. While Harvard’s volunteer-staffed arts service organizations operate on relatively low budgets gathered from across various College and PBHA grants, and typically only cover transportation and some materials, the questions remain: Why place art at the focus of service at all? What use do people have for art if they lack homes, food, motor control, a good education, or any of the other immediate needs that well-meaning volunteers could spend their time addressing instead? André de Quadros, professor of music at Boston University and a mentor to the students in Harvard’s MIHNUET program, regards the last question—and the general attitude toward art as “supplementary”—as misguided. De Quadros has dedicated his life to building musical community: Among other things, he teaches music in state prisons and juvenile detention centers and conducts Common Ground Voices, a choir comprising Israeli, Palestinian, and Swedish musicians. De Quadros points out that Article 27 of the United Nations’ Universal Declaration of Human Rights declares the enjoyment of and participation in art a universal right. “And that is perhaps crucially different from making a case on the basis of needs,” he says. “In order for me to say you… need music… I have to make a judgment about what your needs are. But if you have a right to music, then it's not up to me or anybody to decide.... There's also a needs-based argument, obviously, because we have a hunger for music. And I understand… about food and shelter and all those other things that are critical, but there is no human society, including in circumstances where people are suffering deeply… in which some form of music doesn't exist.” In de Quadros’s view, it is those most lacking in resources—whose engagement in art may be overlooked in the face of more immediate needs—who actually need art the most. Winfield S. “Scott” Benner can testify to the importance of art, even—or perhaps especially—to the underprivileged. A series of misfortunes struck Benner between 2009 and 2013: The steel company he had been working for laid him off; he was diagnosed with Horner’s Syndrome, an optic nerve inflammation that caused crippling headaches; and his wife, who had been employed on-and-off, was diagnosed with cancer. By October 2013, Benner was living on the streets and spending nights at a shelter in Quincy. To alleviate the monotony and harsh reality of life in the shelter, Benner turned to drawing, his longtime hobby. Upon seeing Benner’s work, a counselor told Benner about a group that had come to his church and sold art by homeless and disabled artists. Benner searched “homeless artists” online and found the website of a company named ArtLifting. Founded by Liz J. Powers ’10 and her brother Spencer Powers, ArtLifting curates and sells work by underprivileged and homeless artists. When Benner stumbled across it in early 2014, the company had just launched. Benner emailed Powers and, after a few meetings, signed onto the ArtLifting team. “That was the beginning of the change of my life,” he says. “May of that , I did the City Art show… at the Prudential Center. That was the very first time I ever showed my art in public or intended to sell it, and I made 300-something dollars that afternoon. At that point, I probably hadn't had more than 10 dollars in my pocket at any given time for the last six months…. I remember thinking, ‘Wow, I can really do something with this art.’” Since that first show, Benner’s art has displayed in a solo exhibition on Newbury Street. He now lives in Maine, where he works on his art full time. Though ArtLifting operates for profit, its philosophy, like those of its non-profit peers, is rooted in the belief that art serves as a powerful and integral aspect of human expression and dignity. Powers, a visual artist herself, worked with homeless individuals for many years before starting ArtLifting. “I did a lot of listening,” she says, “and a lot of my clients have said, ‘Liz, I don't want another handout, I just want an opportunity. Opportunity to change my own life.’ And that was why we created ArtLifting as a for-profit, as a business, because we thought: ‘People don't want to be charity cases; they simply want their invisible talents to be seen.’” In the future, she hopes to start more companies that allow people to contribute their hidden skill sets to the economy. Apreleva can also corroborate the positive effects of music. HARMONY has provided the family with far more than saxophone lessons: HARMONY gives Soykin the opportunity to connect with a mentor and role model who is familiar with the language and culture, which, since Apreleva and her husband are both Russian immigrants, is harder for Soykin to access at home. Though Soykin still speaks softly and sometimes haltingly, Apreleva says he has begun composing and singing to himself around the house—an outgrowth of self-expression that coincided with the start of his HARMONY lessons. And inspired by Armenta, who is concentrating in molecular and cellular biology, Matvey has set his sights becoming a scientist in addition to a musician. Students participate in a CityStep session held in the basement of Lowell Lecture Hall. Laura E. Weidman Powers ’04, a CityStep alum, says that she learned at least as much from CityStep as she did in her undergraduate classes. “It was really influential in how I learned to work on teams and also lead peers,” she says. “It also showed me a lot about the power of using something like art as a medium and a message for connecting with folks who are from a different background or having a different experience from you.” Today, Weidman Powers channels CityStep’s spirit of growth and self-discovery as CEO of Code2040, a nonprofit that encourages and supports black and Latina women in tech and has received recognition from Fortune, The Knight Foundation, and the White House. For Yang and Song, MIHNUET has reshaped their perspectives as musicians. “[It’s] definitely helped me realize that as a musician, I have a responsibility to also make sure that I can make sure everybody, regardless of their age or background or socioeconomic status… has the means to be able to create and be involved with the music-making process,” Song says. Johnson, too, feels freed in his artistic perspective. “Working with Stories for Orphans has… made me think about this idea that any aspect of who I am can contribute something good to the lives of others when properly applied. I didn't think before that writing or art—just my hobby—would be something that does anything for anyone other than myself. And now it's a contribution.” As he works to confirm and support the humanity of the orphans he works with, they in turn have helped him confirm and support his work as an artist. 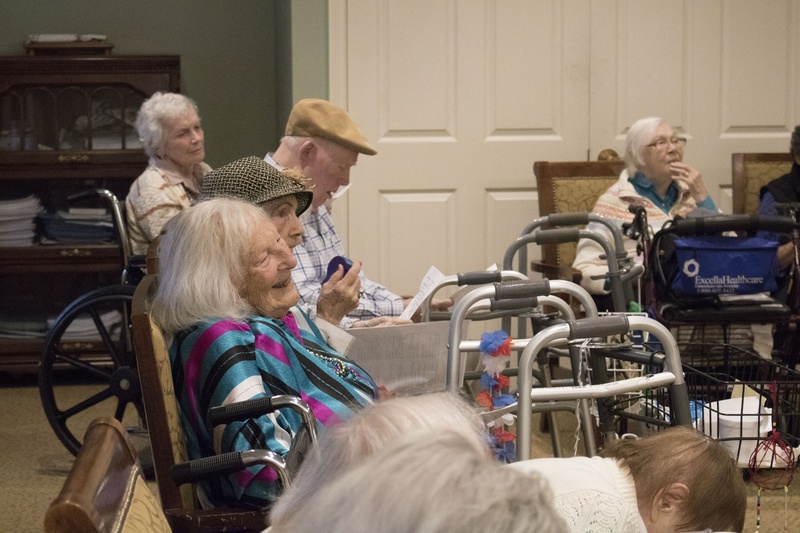 Seniors at the Chestnut Hill nursing home enjoy an afternoon of music. Despite the national trend of funding cuts in the arts, Harvard’s arts service programs continue to strengthen and grow. Crooners is currently piloting its new group singing approach at Chestnut Park Assisted Living and hopes to eventually use it at all of MIHNUET’s partnered living facilities. ArtLifting now works with 72 artists in 19 cities across the United States. Harvard’s CityStep is working to expand to fifth through seventh graders at every school in the Cambridge public school system; higher up, Peck is preparing to launch CityStep.org, an undergirding platform through which the board will help facilitate and fundraise for program development across all four of its universities—and eventually, Peck hopes, make CityStep a national endeavor. HARMONY is eyeing a partnership with schools in Tunisia through Skype. And Clark’s class on music and disabilities was just one of 14 new courses that will be developed as part of the recently established $15 million Mindich Program in Engaged Scholarship. Clark, Song, Yang, and other members of Music 176r want to bring all of these currently disparate organizations together, united in their drive to broaden arts access for communities around Harvard and the nation. They’ve been working on projects within Arts First that would actively engage the festival’s audience in the art-making process. 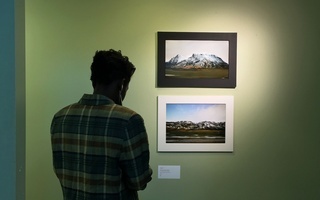 Current proposals include a series of workshops offered across all media, connected to the work of different arts service organizations at Harvard. It takes two to tango—or to put on a play, or to harmonize. As Harvard’s student artists reach wider and wider audiences, we’ll be hearing the resonance. —Staff writer Emily Zhao can be reached at emily.zhao@thecrimson.com. Did the rise of the Internet forever change the way music is shared? 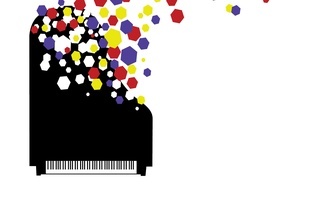 Are we closer to artists or in danger of losing the essence of music? Michael L. McGlathery examines Kanye, Bowie, and more in his new look at the “gray spaces” of the music industry.